Few people get the chance to build a custom house from the ground up, and you can make the most out of the experience by building your dream home. For the general structure of your home, consider an A-frame. A-frame houses used to be popular in the ‘60s and ‘70s as lakeshore, ski town, and mountain resort dwellings, but have fallen out of favor in the subsequent decades. Today, A-frame houses have made a comeback because of their unique look and economically and environmentally low-impact benefits. Zooming closer to your home, you can add floor-to-ceiling windows that can bring in large amounts of natural lighting. The windows can also help create illusions of space, which make even small rooms appear big. When you want more privacy, however, you can install millwork feature walls instead. Millwork grants your home a sense of style at a small cost. As for your floors, you can place statement tiles that add to the overall look of a room. Living rooms and bathrooms, for example, can uphold certain aesthetic flavors that can be completed with statement floors. This trend can even work well with millwork feature walls. When it comes to specific features, you may want a dog shower if you own a dog. Dogs gather dirt when outdoors, and a dog shower can easily clean your pooch up before it dirties your house. Dog showers can also come in handy when you want to wash muddy equipment or gear. Did you find something you like? The trends above can make for great features in your new home, allowing you to cross off some considerations. Now you can focus on other aspects of the construction. 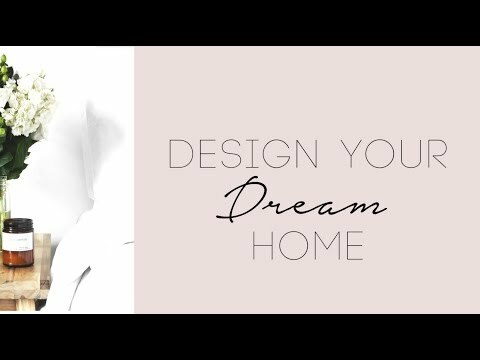 Planning to build your dream house? Watch this! Modern House design and ideas!